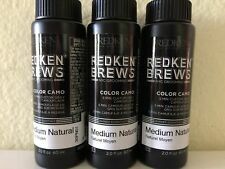 Original Redken COLOR GELS Permanent Liquid Hair Color~ 2 oz~ BUY 3; GET 1 FREE! Redken SHADES EQ Professional Liquid Gloss Hair Color (Levels 1 - 7) ~ 2 fl oz!! REDKEN SHADES EQ Gloss Hair COLOR ~ 75 COLOR's to CHOOSE From!!! Redken SHADES EQ Professional LIQUID GLOSS Hair Color 2 oz ~ Levels 8 & Above!!! Trending at $11.14eBay determines this price through a machine learned model of the product's sale prices within the last 90 days. (Original) Redken SHADES EQ Liquid Gloss Hair Color 2 fl oz ~ Buy 3; Get 1 FREE! Trending at $15.28eBay determines this price through a machine learned model of the product's sale prices within the last 90 days. REDKEN Color Gels Permanent Conditioning Hair Color 2 fl oz ** YOU PICK ** NEW! Redken Color Gels 2 oz Hair Color - Choose a Shade! 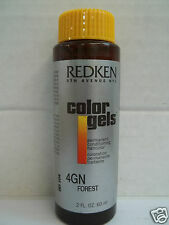 Redken Color Gels 2 oz. Hurry before they're all gone! Buy Redken Developers & Peroxides - Redken Pro-Oxide Cream Developer 20 Vol 6% 33.8 oz (1 Liter). Redken Shades EQ Conditioning Color Gloss 2oz. Almost gone! Redken Shades EQ Gloss 2 oz Liquid Hair Color Choose a Shade! Trending at $6.50eBay determines this price through a machine learned model of the product's sale prices within the last 90 days. 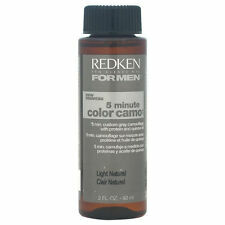 Redken BREWS for MEN 5 minute Color Camo Gray Camouflage ~ Choose Your Shade!! Color Redken Permanent Gels Conditioning Hair Color 2 oz. Redken Shades EQ Equalizing Conditioning Color Gloss 2 oz. REDKEN SHADES EQ PROCESSING SOLUTION TURNS GLOSS TO GEL 16.9oz NEW! 5 out of 5 stars - REDKEN SHADES EQ PROCESSING SOLUTION TURNS GLOSS TO GEL 16.9oz NEW! 2 product ratings2 product ratings - REDKEN SHADES EQ PROCESSING SOLUTION TURNS GLOSS TO GEL 16.9oz NEW! Redken is a worldwide leader in haircolor. With its innovative and unique haircoloring technology, Redken offers a collection of exciting haircolor lines to help hair colorists and salon clients achieve a full range of haircolor results. Redken Colour Gels Permanent Conditioning Haircolor is reliable and dynamic hair colour brand for any shade of pigmented hair. Results are long lasting and hair is left in superior condition. Trending at $33.75eBay determines this price through a machine learned model of the product's sale prices within the last 90 days. 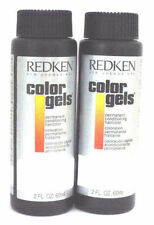 2 Bottles of REDKEN Color Gels Permanent hair color 2 oz. Mix equal parts with Redken color Gels Developer. Selected Dye System. Contains 100% oxidative, UV-stable,long-lasting dyes, permanent liquid color resistant to fading. Trending at $16.80eBay determines this price through a machine learned model of the product's sale prices within the last 90 days. 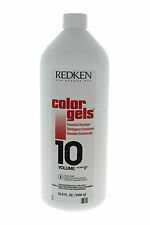 Redken Color Gels Hair Color 2 oz Choose Color!